Although I don’t eat at Taco Bell much, the Enchirito had to be my favorite menu item. 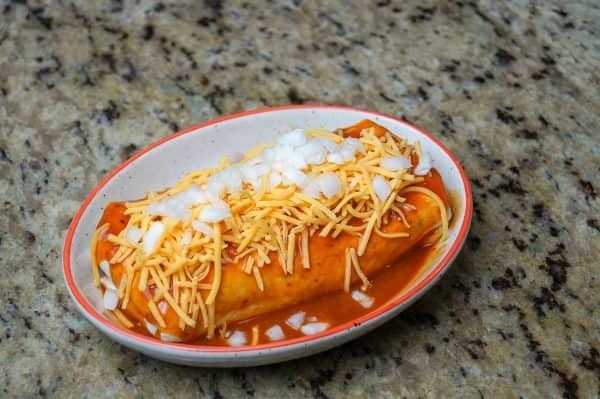 Unfortunately, in my area anyway, the Enchirito has disappeared from Taco Bell menus and most of the restaurants don’t make it anymore. Fear not. 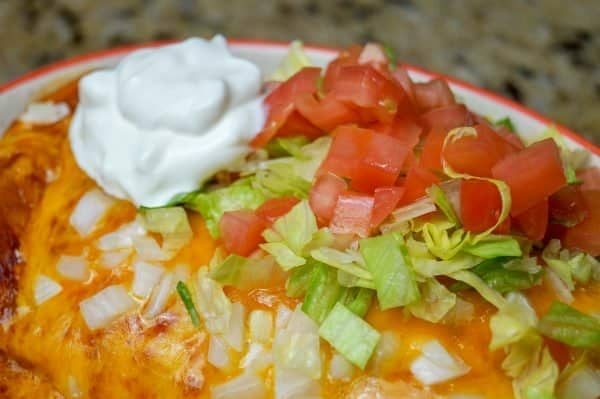 I have a simple copycat Enchirito recipe for you. Anybody remember the Bell Burger? Anyway, fortunately for us the Enchirito is a quick and easy copy. 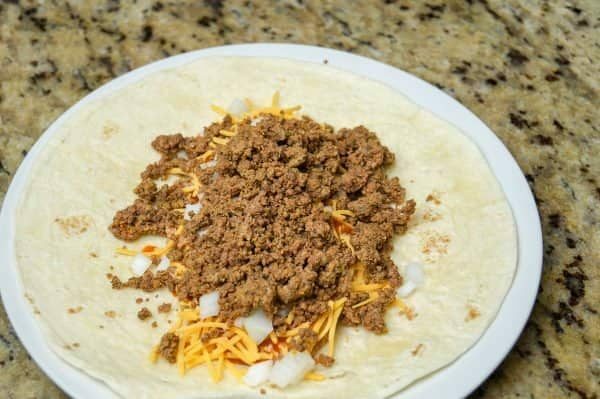 For those who are unfamiliar with this delicious, satisfying dish, you have been missing out. The Enchirito is a cross between an enchilada and a burrito. 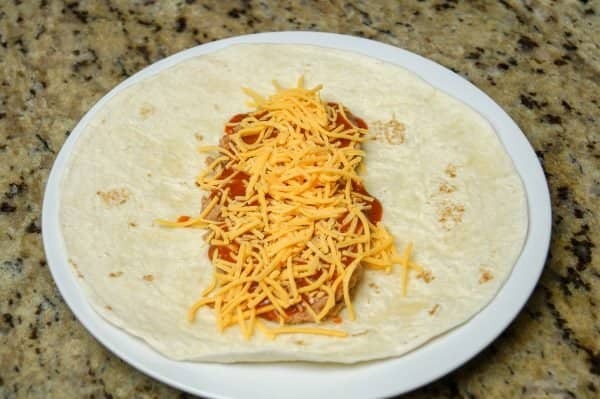 Basically, a burrito with enchilada sauce and cheese melted over it. I make this one with ground beef but you can just as easily substitute shredded chicken or beef or some chopped steak or fajita meat. 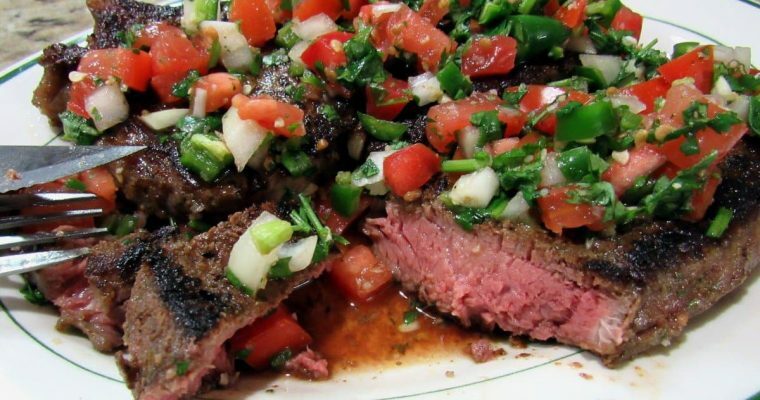 If you really want to try a treat, check out my Carne Guisada recipe. 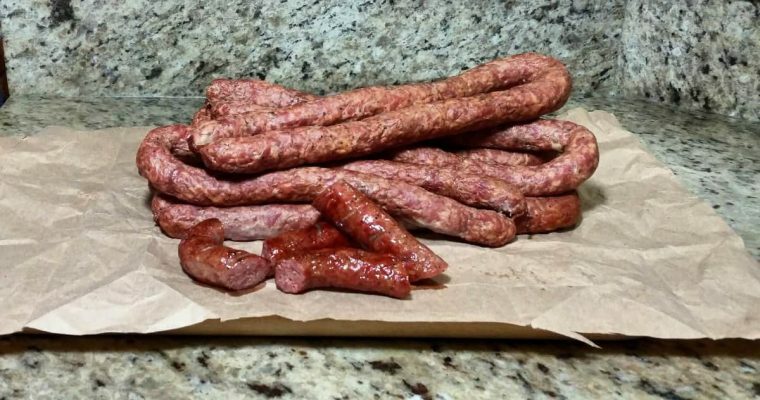 Put that in your enchirito and you will be in heaven. I’ll put the link to it below. You can even try adding some spanish rice. 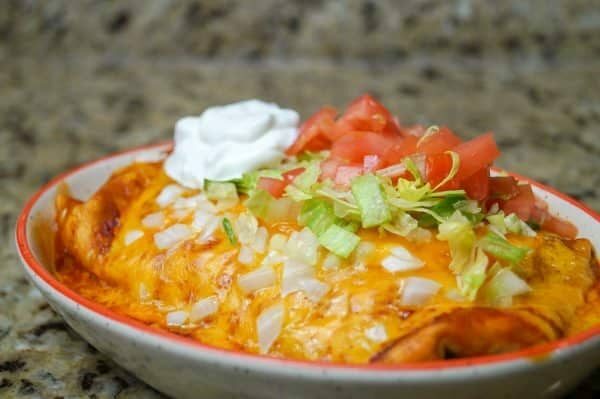 Garnish with lettuce, tomato, sour cream and salsa and you can’t go wrong. 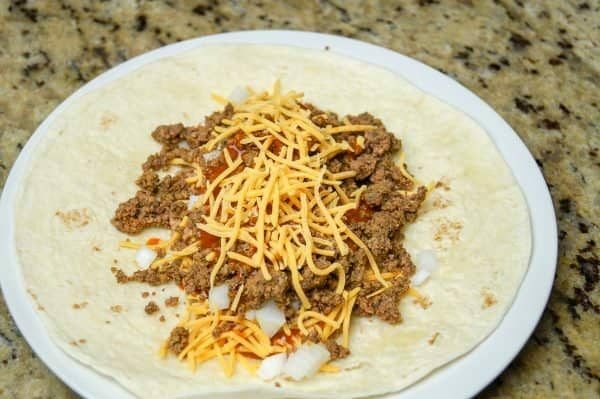 This is a copy cat recipe for the classic Taco Bell Enchirito. 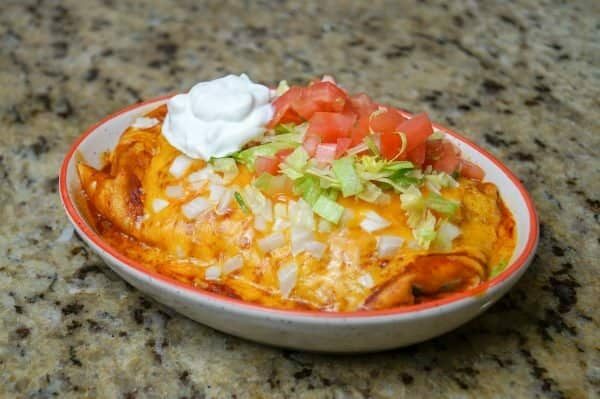 Half burrito, half enchilada. Fast and easy to make, this item has fallen from many Taco Bell menus. 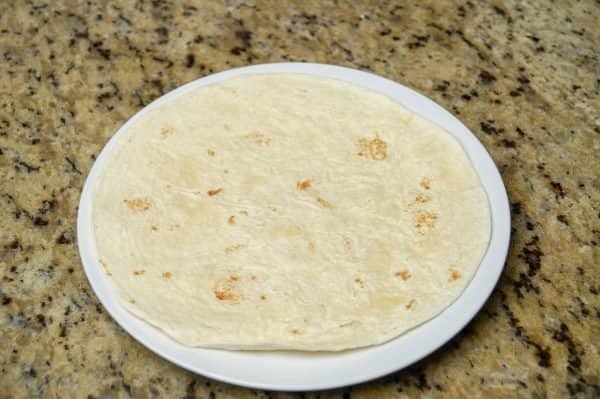 I start out with a 9 inch flour tortillia. 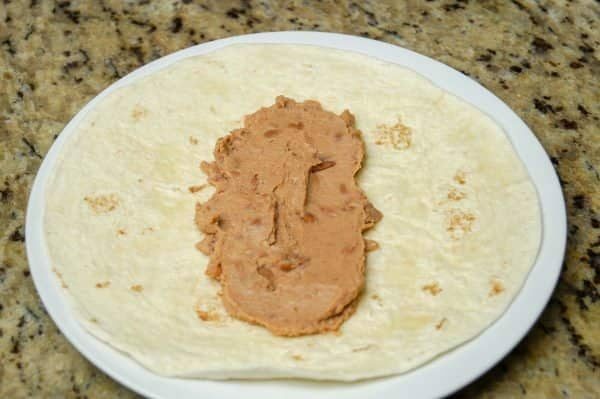 Spread 2-3 tbsp refried beans in a rectangular shape. 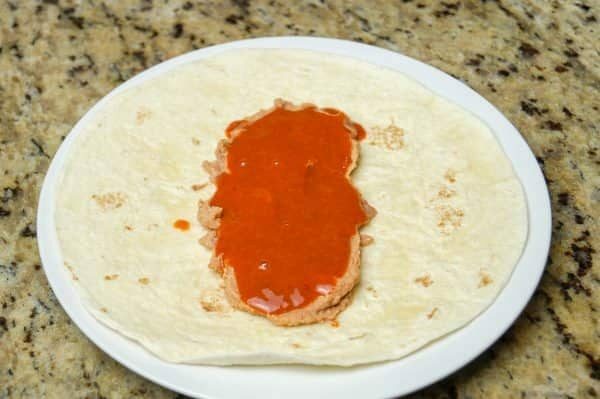 Top with enchilada sauce. I have a recipe linked above. 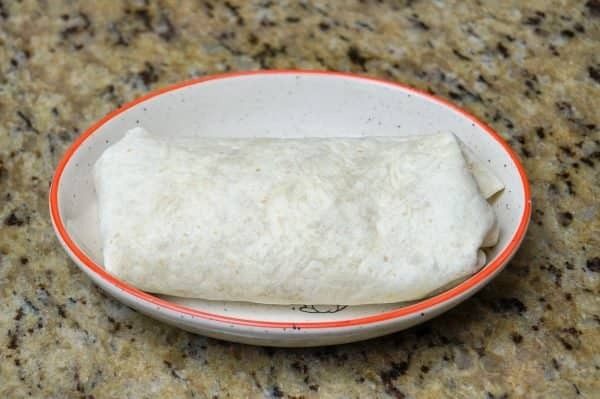 Fold over the ends and roll into a burrito. 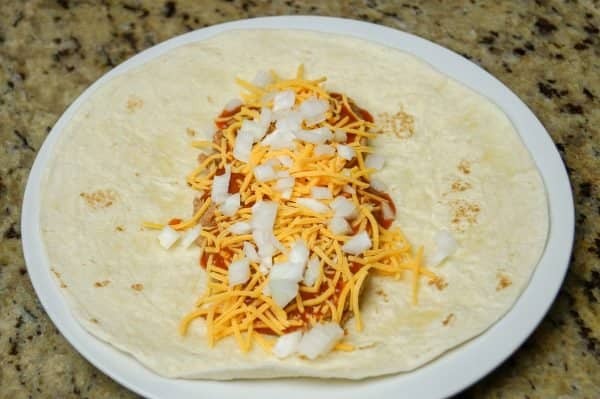 Cover with more enchilada sauce, cheese, and onions. I then put it in the microwave, covered. Heat 2-4 minutes at 1/2 power(5) until the center is heated. Garnish with lettuce, tomatoes, sliced black olives(I was out when I made this one. ), sour cream and salsa.